DJ Clark werkt als multimedia journalist en geeft les op dit gebied. Sinds 2006 is hij gevestigd in China waar hij werkt als multimediaverslaggever voor de China Daily. 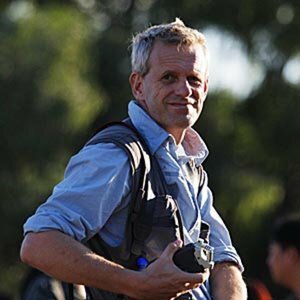 Hij geeft daarnaast les aan de Asian Center for Journalism en aan de universiteit in Bejing. Hij geeft workshops in multimedia over de hele wereld voor verschillende opdrachtgevers waaronder World Press Photo. DJ Clark doet onderzoek en schrijft over visuele journalistiek als middel voor sociale verandering. DJ Clark is both a practitioner as a trainer in multimedia journalism. He is a contract multimedia reporter for the China Daily and he teaches at the University in bejing and at the Asia Center for Journalism. DJ teaches workshops in multimedia for organisations as World Press Photo. He also researches and writes about visual journalism as a vehicle for social change, the subject that drives both his journalistic and academic work. When The Water Ends: Africa’s Climate Conflicts by Evan Abramson, produced by Media Storm. One of the key skills emerging from the new world of multimedia journalism is to recognise which subjects lend themselves to the multimedia platform and then how to exploit the medium to create powerful messages. This piece is the best example I know from the year that utilises the tools of the multimedia journalist to tell a politically important story in a way that is accessible to a global audience. First published by the Global Times the story uses traditional single operator photojournalism skills to reveal details of a little known subject. Jerry spent many months working on getting access to his subjects and winning their trust before he was able to get interviews and footage. Along with a fascinating story it has strong photography throughout.